Recently I was approached to have this work published in this new academic textbook. This piece is called, "5 a.m. Offering Rtu" 2008. 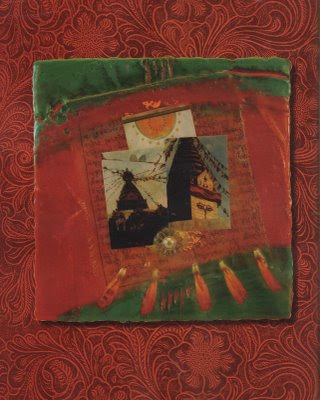 This work is based on my travels in 1992 to Nepal, Kathmandu, the photo is of the Swayambhunath temple. 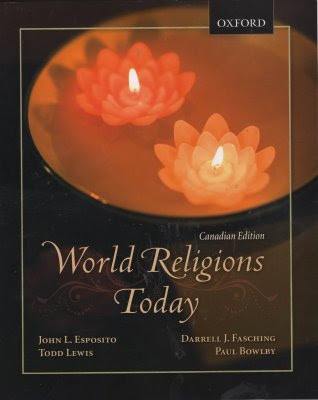 It is an honour for me to be published in this fine academic text on World Religions. Wow Supria, that is incredible! It is such a gorgeous piece & worthy of such a display!! Congratulations! I can see why this beautiful piece was published! What an honor for you and so well deserved for your beautiful 5 a.m. Offering Rtu. Love the colors, textures and background design-such depth, spiritual meaning and beauty!